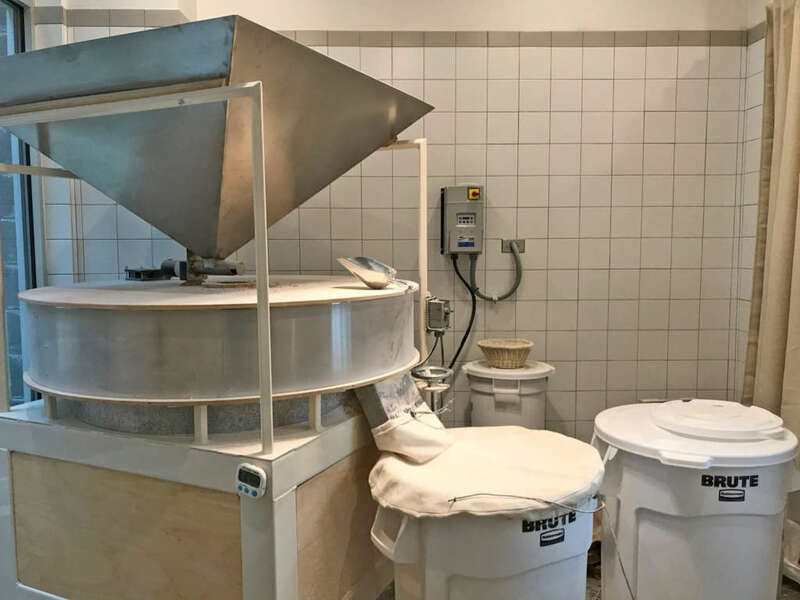 D.C.'s newest bakery forgoes run-of-the-mill in favor of an actual mill. WASHINGTON — It doesn’t take much to make a basic loaf of bread: some all-purpose flour, yeast, warm water and a little bit of salt. 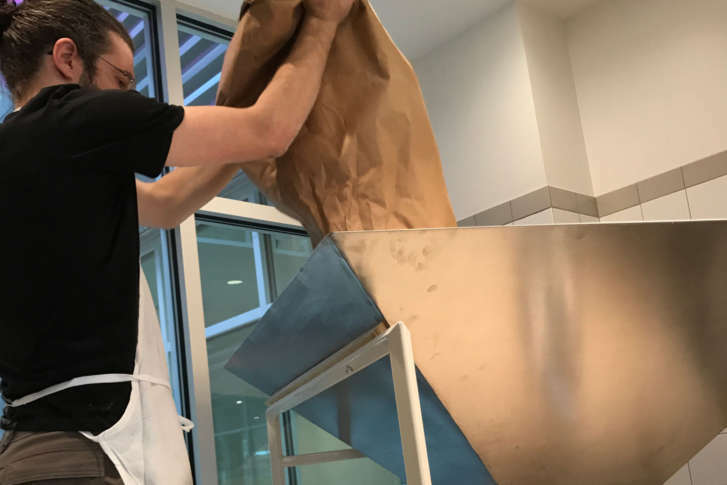 But basic isn’t on the menu at D.C.’s newest bakery, Seylou, where co-owner Jonathan Bethony forgoes run-of-the-mill in favor of an actual mill. Seylou is D.C.’s first whole-grain bakery and mill. That means everything served is made from locally sourced grains — rye, einkorn, sorghum, millet and barley, to name a few — which are ground on-site in the Blagden Alley and N Street shop in Northwest. 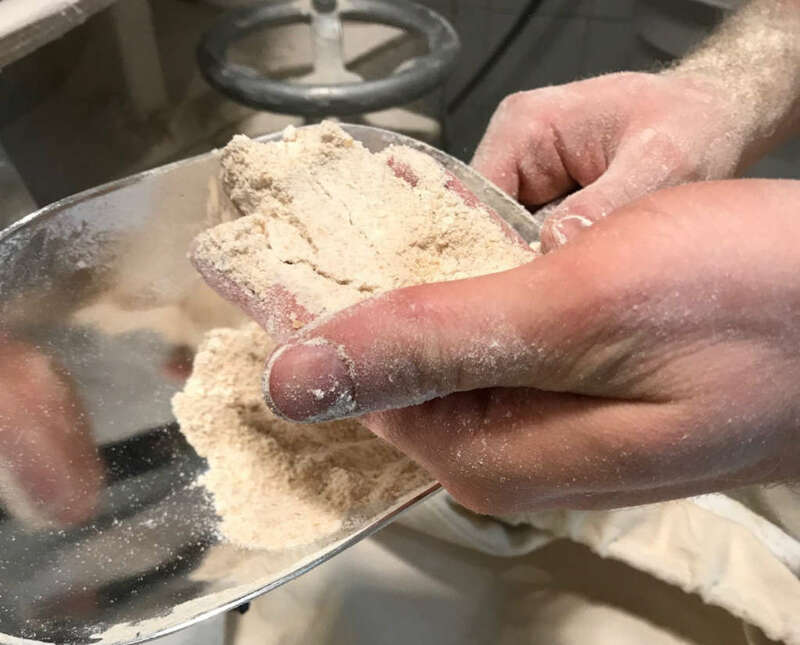 “Part of the magic is when you fresh mill, you know it’s a fresh product,” said Bethony, who honed his baking skills at Blue Hill Stone Barns and Washington Bread Lab before moving to the area to open the bakery. Think fresh-squeezed orange juice, compared to concentrate, or fresh-ground coffee, compared to the canister. Whole grains also have a nutritional leg-up over refined grains. “With the whole grain, you’re getting all the minerals, and you’re getting the vitamins and the essential fatty acids of the germ,” Bethony said. And if there is such a thing as a healthy pastry, Seylou has mastered it. Pastry chef Charbel Abrache makes canelés from millet, financiers from einkorn flour and brownies from sorghum — all without refined sugar. The scarcity of hybrid bakeries and mills, even in a “craft” food-charged era, is not a surprise. Being both the baker and the miller is no small feat. Bethony works 16-hour days, and throwing in an ingredient that can vary from day to day only adds to the challenge. “This is not a dead product. If you buy white flour in a bag, you’re getting a dead product, and it’s much easier to be consistent with a dead product,” he said. Approximately one pound of freshly milled grain goes into each loaf at Seylou. The bakery currently churns out 150 to 200 loaves daily, and Bethony estimates that each takes about 36 hours, from start to finish. Tending to the fire that fuels Seylou’s 20-ton brick oven is another ongoing task, but Bethony says it’s all worth it. “I feel better feeding this to people. … I’m not willing to sacrifice quality just to make it cheaper or to make it more efficient so I make more money,” Bethony said. Seylou Bakery and Mill is open Wednesday through Sunday from 8 a.m. to 4 p.m. Bread is available starting at 1 p.m. Looking for freshly milled wholegrain bread to go with a hot bowl of soup? Come on by at 1pm. Spelt with cracked emmer available as well as Pain Au Levain, Rustica, Tordue and Mischbrot.